New Delhi : Dear Zindagi first look is out! Starring Alia Bhatt and Shah Rukh Khan, they claim themselves on the cycle in a first official image for the film. Alia Bhatt is playing the role of Kaira, a budding cinematographer, who is in search of the perfect life and an encounter will change her life. Shah Rukh Khan's character is still a mystery but contrary to rumours that he will be doing a cameo, he is very much integral part of the script. We find the poster very modern and lively in a calm and soothing style. 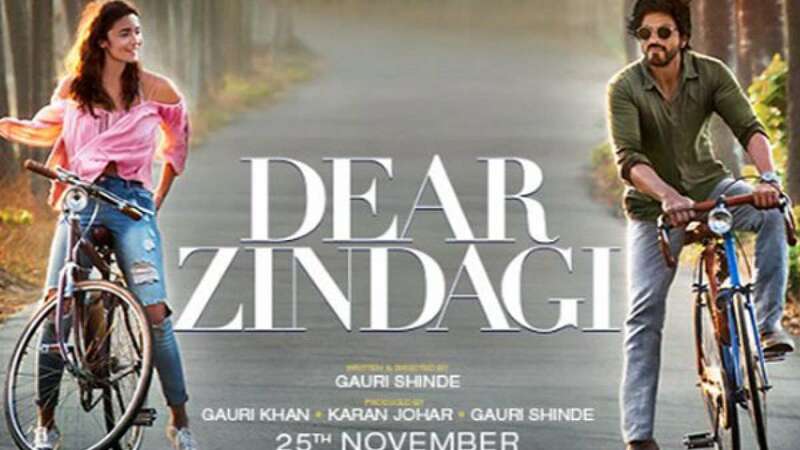 Written and directed by Gauri Shinde, Dear Zindagi will release in theaters on November 25th. Prior to poster release both Alia Bhatt and Shah Rukh Khan teased fans with amazing short video relating to the film.